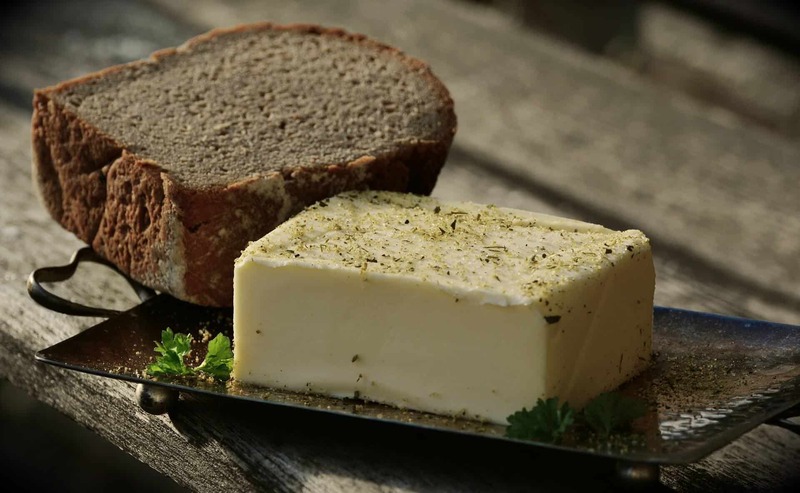 When a person is in a mood to have a tasty snack, which is quite often, what does he or she do? 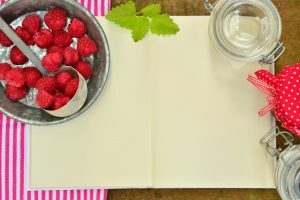 In case you are like the majority of other people, there is a high degree of probability that you would love to have a plate full of potato wafers, a big juicy burger, delicious chocolate bars or some snack cakes that though are tasty are hardly healthy choices. So, if you want to be really health conscious, it does not make sense to stuff yourself with these foods throughout your day. In other words, if you own a food dehydrator, snacking would signify a good affair of healthy but homemade delicacies right in your kitchen. 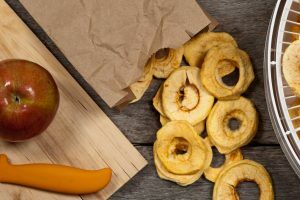 Some of the dehydrated food items that you can make in your kitchen are kale chips, apple chips, banana chips, homemade beef jerky and sundried tomatoes. 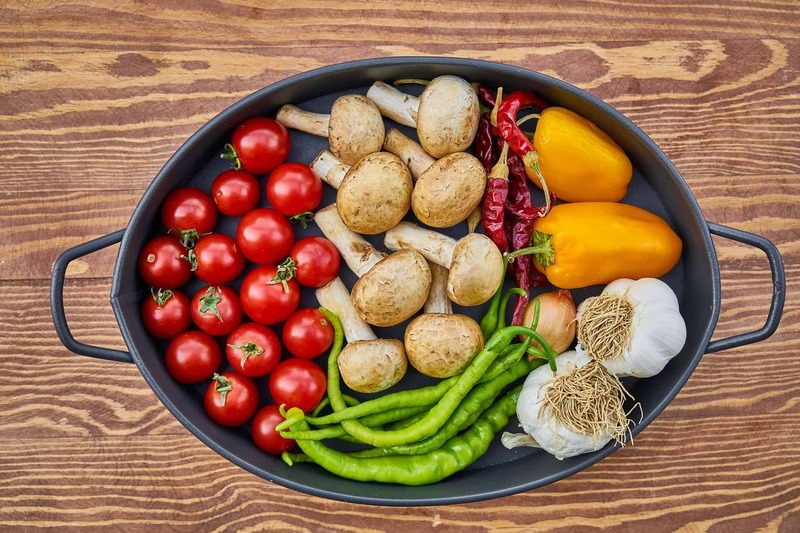 If you want to look out for the most excellent food dehydrator that suits your requirements, it will depend on your personal preferences to a large extent. The choice also depends on what are your plans for using it. If you have a fair understanding of the ways they vary and the options you have before you, it can help you to make an informed purchasing decision. 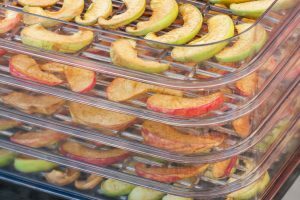 Check out some of the critical factors and features you should bear in mind while purchasing a food dehydrator. 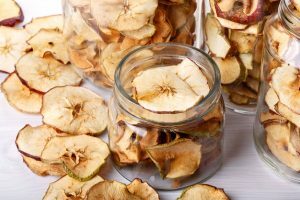 Most of the times, it is quite easy to dehydrate food items. You would not find that there is much of a difference between how different models function to dry food items. Having said so, some features do exist that make the process of food dehydration simpler for you. 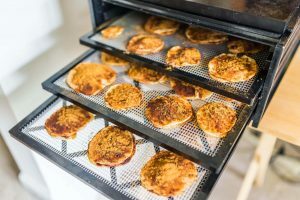 One of the most important ones is to have a food dehydrator, which can cook uniformly even while you do not need to be concerned about switching around its shelves. It signifies the distinction that exists between putting a tremendous effort between checking your food now and then while the dehydration process is on or merely leave it on and walk away from it. You just need not worry about it until the process is completed. In case, convenience matters for you, another critical factor to bear in your mind is how much effort you need to put to clean the various models. Some of the factors that can determine this aspect are the total number of components a food dehydrator is made of, the position of the fan ( the best location is the top), whether you can put it safely in a dishwasher or not and so on. Dehydration of food is quite a simple and easy concept scientifically. You just have to keep your food at a high enough and consistent temperature for a suitably long time so that a part of the moisture can be extracted from those food items. For all practical purpose, the most robust challenge is to make sure that the heat is uniformly distributed for the food items being dried. There will be some food items that have to be necessarily kept further from the appliances heat source as compared to the others. 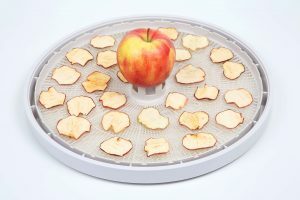 Hence, it has to be made sure that the dehydrator has been set up in a manner to facilitate an adequate airflow so that it can be accomplished. Before purchasing a food dehydrator, you should do your homework on what the said manufacturer claims about the airflow and the heat distribution for their every model. Have they taken any steps to make sure that the foods placed in the dehydrator will be dried out uniformly? For instance, food dehydrators with horizontal flow usually have the ideal design to achieve this. However, several vertical flow food dehydrator models include features such as fans as well as other elements to particularly enhance airflow. Similar to many other small kitchen appliances, you must contemplate the quantity of food you want to put in the dehydrator in a single batch as well as the amount of space available for you while adding another new gadget in the kitchen. When you purchase a smaller model, especially a vertical flow one, it occupies less space on a counter and is relatively easy to store even while not being used. On the other hand, in case you have an abundance of food items from your garden, which you want to dehydrate within a brief time span or wish to make a bulk purchase with a target of dehydration, you should go for a more significant model. If the requirement is restricted to making only some snacks occasionally and rescues the real estate of the kitchen, then purchasing a smaller model could be a more sensible decision for you. 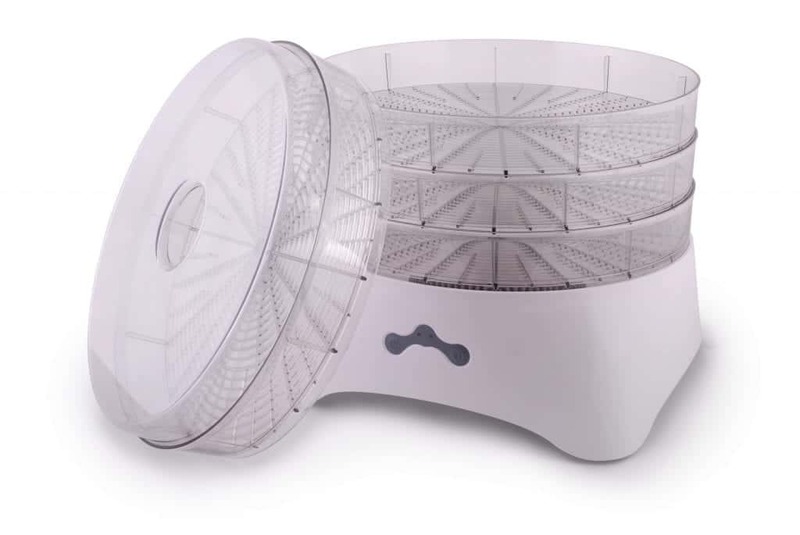 Ideally, food dehydrators have a fan installed within them. So, most models are expected to produce some noise. Having said so, the decibel level will be different from model to model. To own a product, which provides the minimum noise, try to find a model that is known in the market not to make much of a sound. The bad news is decibel ratings of a food dehydrator may not be listed as a part of the specification. But, the good news is you can find review websites as well as check out the customer reviews to find out what the consumers are mentioning about the appliance’s noise levels. Different food dehydrators may cost differently based on the features, quality, popularity, brands, models and so on. 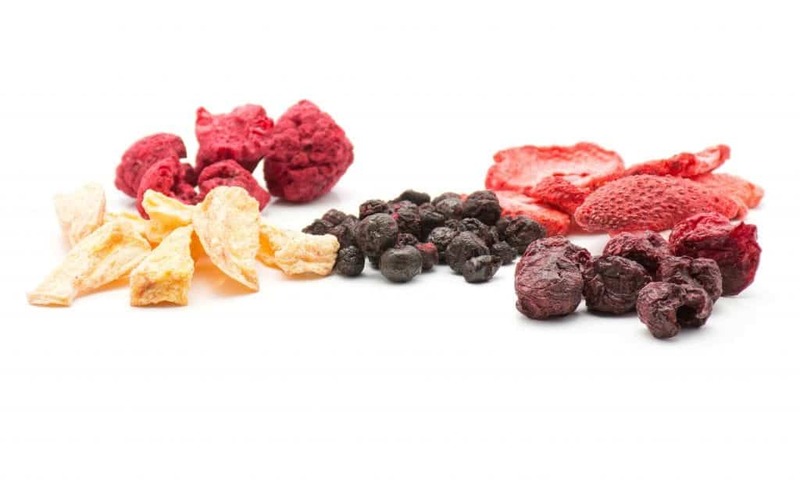 The high-end models typically have significant capacity, and thus it is possible for you to dehydrate big batches of food items in a single go. They also offer features such as an essential even heat distribution to ensure even cooking and other exciting perks such as timers and thermometers, which make the entire dehydration process as simple as possible. 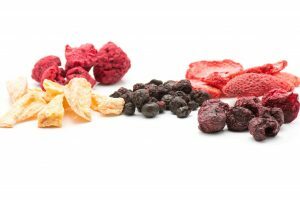 The low-end and economical products comprise of necessary dehydrators, which can dry out some food items but will need higher maintenance. They have more restrictions on the kinds of food items one can dehydrate and may not last as long as a high-end product. 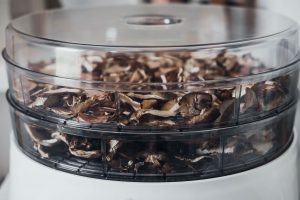 A majority of people who have not bought a food dehydrator before but are interested now would like to choose one that is somewhere between the high-end and the low-end products. They will also try to see that the product has the features they value the most. 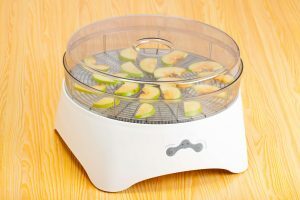 Thus, make sure that you do thorough homework before purchasing your first food dehydrator after carefully considering the kind of food items you would be drying most frequently.